Video of Is Olympus Ever Going To Make A Full-Frame Camera? Despite being very strong in video with their M4/3 camers, Panasonic's choice to move to full frame seems to indicate that the market at M4/3. is simply not there. I'm not sure that Olympus will benefit all that much from taking the space that Panasonic seems to be willing to vacate despite their dominance (M4/3 video-centric cameras). You make a very interesting and potentially valid point. It’s a relatively small market and over coming some of the perceptions may require a lot of effort. There are however some benefits that smaller sensors have and I think many of them come down to stabilisation and higher frame rates for video with less overall heat being generated. There’s definitely a market there I guess we’ll have to see what Olympus have planned for the future. "Panasonic's choice to move to full frame seems to indicate that the market at M4/3. is simply not there." Following this logic, BMW's move to SUVs seems to indicate that the market for sedans is simply not there. Have you considered that a company might pursue more than one market at a time? Bad example. The market for sedans actually isn't there (at least here in the USA) which is precisely why companies are shifting their focus to SUV's and crossovers in this market while phasing out sedan and compact models. Also, the camera market is shrinking so it doesn't make sense to divert signigicant resources into jumping into the extremely crowded and highly competitive field of full frame cameras if you're already decently profitable in your niche. The question you should have asked Olympus: Is the E-M1 Mark II the end of the road? Olympus has already confirmed an E-M5 Mark III later this year. No details yet. M43 has yet to make any profit whatsoever for olympus. I don't see that changing in the future either.. If they can make a camera as affordable as the Canon RP without any of the comprimise that Canon put in, I think it would work. A basic M43 camera and lens from Panasonic starts at under $500. 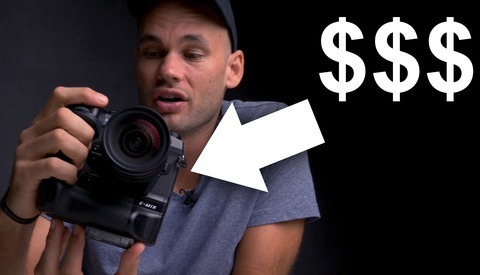 Change out the kit lens for a "nifty fifty" equivalrnt and you're still well under $1000. A Panasonic S1 with kit lens runs over $3500, and with a nifty fifty, close to $5,000. They are different markets. It's clear so far that Panasonic is embracing the high end status that Leica lends to the L-Mount, rather than savaging body prices like Sony. Leica supports three lens mounts today. Canon has essentially four, even if they have promised to ignore EF and EF-S this year. And they also make Cinema EOS, camcorders, and a whole bunch of P&S cameras. There us no reason to believe Panasonic can't walk and chew gum at the same time. They didn't stop making P&S or camcorders themselves when they entered the M43 market in 2008. Not everyone can necessarily hit all markets, but Panasonic has shown they do. Haven't Olympus already said they have no plans for a FF camera? Clickbait headline is Clickbait. Lol how is it clickbait? I literally discuss that with Olympus. I wouldn't call it clickbait but it is a question Oly has previously answered in what would appear to be no uncertain terms. My recommendation is to keep asking them. You'll have a real story if they ever change their mind. One of the reasons we discussed full frame was because of some of the apprehensions people have for m43. The interview is mostly in support of their system and decision to not develop a full frame camera. I wish they stay focused on what they are doing best - best small cameras with great quality. All of their cameras are "full-frame". What you mean to ask is "Is Olympus Ever Going to Make a 35mm-format Camera?" Current and former medium- and large-format shooters know that 35mm is not "full-frame" but rather "small format". Most of us know what someone means when they say full frame, Olympus did. Stop being so pedantic lol. Olympus use "35mm" in their products, not "full frame". Fill frame has meaning only when talking with context with half frame and when talking about cropping your image for wanted composition instead showing a full frame that might not have been so great framing to begin with. Want to be pedantic? Talk about small format and medium format... Now see where does FF Fanboys go when suddenly their 35mm format is talked what it really is, the small format. And people who talks about m4/3 format knows nothing that format is 4/3" and the mount is m4/3. It's really simple. What part of "small format" don't you get? Have you been around long enough to know what "full-frame" meant before digital? The modern usage represents a hijacking of the term by digital camera makers' marketing departments. It's pure propaganda. This whole discussion and almost every point you’ve made has been complete and utter nonsense. This is such a waste of time. 35mm sensors are described as full frame by every company in the photography industry including Olympus. So, you aren't aware of the history of the term "full-frame". You can claim "nonsense" all you want. Do some research on historical uses of the term. I'm old enough to remember its meaning before digital. How old are you? Also, the reason why all of this is nonsense is because, it's pointless semantics that offers absolutely nothing to the discussion. First of all, unless you are shooting at ISO 12800 and above all the time, or 80-90% of your time, then there is no benefits going 35mm. 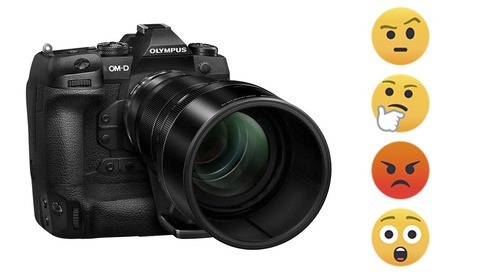 Secondly, Olympus already has taken over m4/3 system. 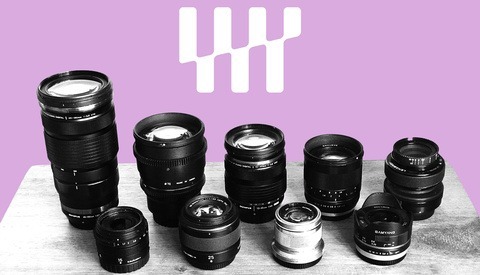 Olympus owns about 70% of the m4/3 market, rest is panasonic and others. The 35mm is most over dreamed format, there is nothing full in it. It is not a standard, it is not better, it is nothing more really than a dream for people to be a better photographers by using a 35mm. I'm a big fan of MFT, but 35mm format does offer practical advantages for specific use cases, which is why I shoot both MFT and 35mm now. At ISO 6400, even a 24MP 35mm camera offers significantly more detail. Whether you NEED that level of detail is another matter. And, a 36MP+ 35mm camera does open up possibilities for really huge prints and cropping. That said, I'm an event pro working under difficult lighting conditions. MFT is the practical equivalent of a very nice 35mm film system, and 35mm-format digital is the practical equivalent of a medium-format film system. For most non-pro users and uses, MFT is overkill.